Mites & Lice There are 6 products. Passwell Multi-Clens 1% 1 litre. 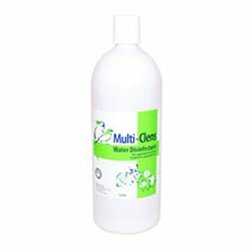 Multi-Clens is a water disinfectant for caged birds and animals. 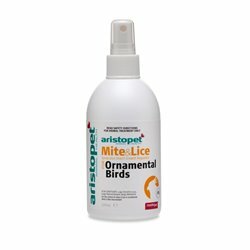 Aristopet Mite and Lice spray for ornamental birds has been specially formulated to eradicate not only mites and lice but also biting insects, flies, mosquitoes and cockroaches. Avimec is a topical ‘drop on’ liquid for the treatment of Scaly Face Mite (Knemidokoptes pilae) in budgerigars. 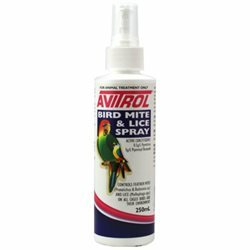 The Avitrol Bird Mite & Lice spray controls feather mites and lice on all caged birds and their environment (cages, perches, nest boext etc.). Leaves a glossy plumage. Ready to use solution, active ingredients are natureal pyrethrin and piperonyl.